Civilization IV: The Complete Edition includes the original strategy classic, plus the two expansion packs and the standalone game Colonization in one digital download. Experience the Ultimate Strategy Game with the Ultimate Edition! 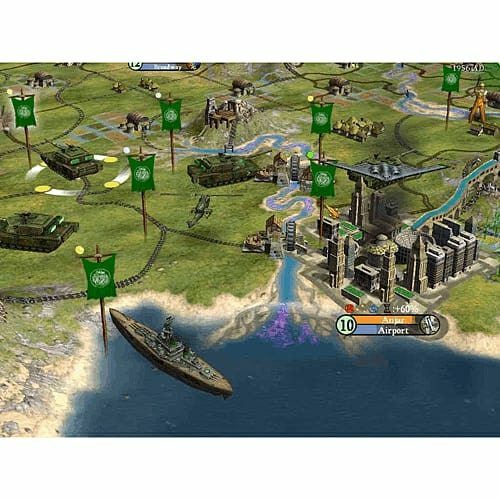 Sid Meier’s Civilization IV is the ultimate strategy game, offering players the chance to lead their chosen nation from the dawn of man through the space age and become the greatest ruler the world has ever known. Civilization IV: The Complete Edition includes the original strategy classic, plus the two expansion packs and the standalone game Colonization in one digital download, for one incredible value. 3D Living World – Detailed environment where animals roam and smoke billows from small huts, set in a vibrant colorful world. Innovative Features – Great People, Holy Cities, missionaries, variable game scales, new land, sea and air units, and loads of new civics. New Leaders & Civilizations – More of history’s greatest military leaders including Shaka, Wang Kon and Augustus Caesar, plus six all-new civilizations. New Scenarios – Eight new scenarios including Alexander’s Conquests, the Rise of Rome, Genghis Khan and more! The Biggest Civ Expansion Ever – A massive increase of 10 civilizations, 64 buildings, 11 scenarios, 5 wonders, 6 technologies, corporations, brand new espionage system and expanded trade routes. Scenarios—Expect the Unexpected – 11 additional scenarios include settling new worlds in Final Frontier, battling zombies in Afterworld, conquering medieval Western Europe in Charlemagne and more. 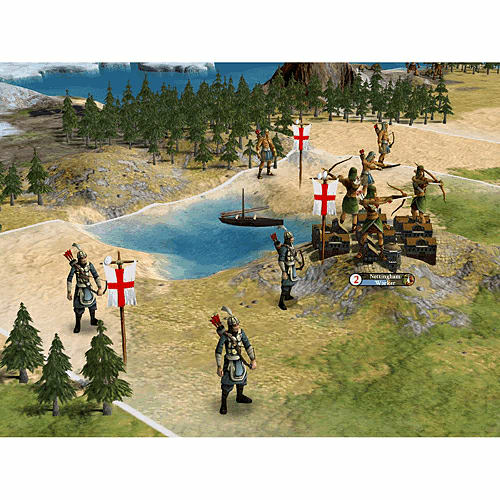 Classic Game Design – The strategy classic Colonization is rebuilt with beautifully improved visuals, while retaining the famous addictive gameplay and endless fun that are synonymous with Sid Meier games. Establish A New Nation – Play as the English, Spanish, French or Dutch and journey to a brave new world in search of freedom from your oppressive homeland. Peripherals: Macintosh mouse and keyboard.